Claudi Casanovas was born in Barcelona 1956. He first studied for the theatre in Barcelona, then trained as a ceramist in Olot (Catalonia). He was a member of the Coure Potters’ Cooperative from 1978 to 1987. 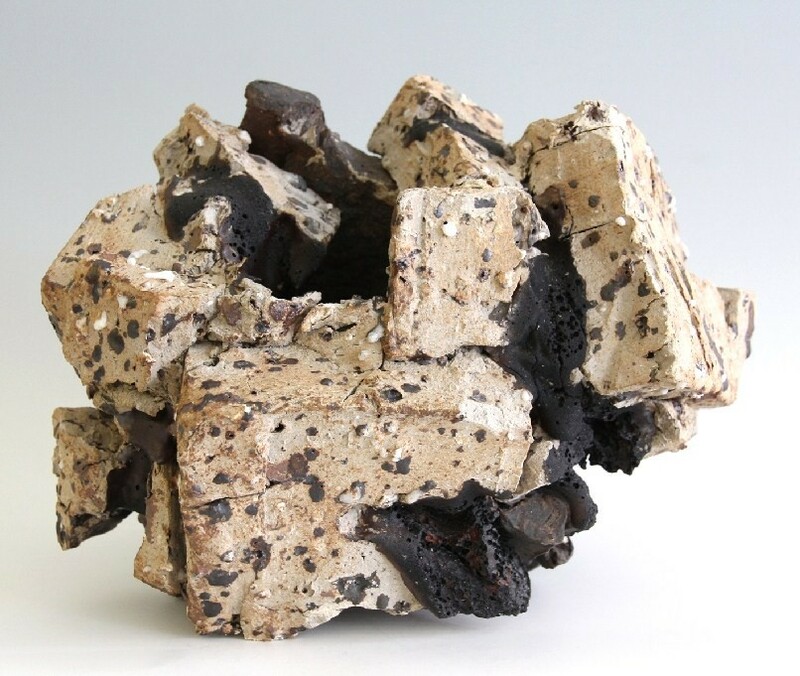 In 1992 he won first prize at the III International Ceramics Competition in Mino, Japan. Major international exhibitions have included those at the Roman Museum in Nyon, Switzerland, the Museum of Contemporary Art, Oostende, Belgium and Kunstforum, Kirchberg, Switzerland. In 2004 he won a competition to create a monument against Fascism in Olot. The piece, entitled Memorial als Vençuts, was installed in June 2006. For five years after the creation of the monument, Casanovas explored the medium of print. His aquatint series “Aürt” and his large scale etchings “Arbol - Inmovilidad en el paisaje” have been exhibited in the UK and America with the gallery. An innovative and creative maker, he has an experimental approach frequently incorporating other material into the clay. Many of his pieces are very large and sculptural, some up to 300 kgs in weight and 2 meters high. Fascinated by the varied land forms created by erosion, deposition, wind and rain, he evokes these effects in his work, sometimes carving and sandblasting the pieces which have a tactile presence. One major influence was the Japanese potter Ryoji Koie, whom he worked with for two months in 1991, shortly before he took part in the Aberystwyth International Ceramics Festival.